Our second Christmas 2011 Giveaway is from Montessori Child. 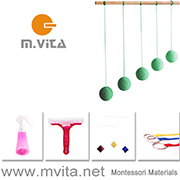 Montessori Child is a lovely company that stocks a carefully selected range of materials for the home environment. I really like their Practical Life section as it always gives me ideas for activities to do with Caspar. This is on our Christmas list for Otis. It is perfect for the child once they start pulling up and cruising. Amy and her husband Steve have only recently taken over the company and I think you will like their story. Amy's tells us a little about herself and her path to Montessori Child. When my husband and I found out we were pregnant, plans began immediately on how we would manage as a family, in this modern world, to live on one income. For our family, it seemed the way forward was to re-arrange some of our short and long term goals, move away from the city and both change career paths to accommodate our top priority: Time. Time together to be more precise. And just like every other family out there, our struggles and triumphs continue as we find what works for us deep in this balancing act called parenting. As we bumble along, doing what we can to figure out this whole 'Montessori parent' role, I have found some truly wonderful discoveries about myself. One of the realizations that emerged was that the ideas and ideals of Dr. Montessori have a way of etching themselves into so many parts of ones life, and having been 'soaked' in them since childhood, they seem to bounce around my head continuously. I found myself enjoying the time at home with my son immensely, but needed an outlet, a connection back with a Montessori community. After spending years running a school and teaching in a classroom, I know full well the commitment it takes to immerse ones self in a school community, but we found ourselves living in a town without a Montessori school near by. When my son was about 9 months old and we were both on the brink of a new found independence (his of movement and mine economic), the universe brought to my attention this little on-line business that was for sale. Could it be was the outlet I was looking for? Would it be possible to do in the 1 - 2 hours of free "nap-time" I got in the day? Needless to say, we went for it and haven’t looked back. Now with an online business of our own, operating out of our house and of course with your help, we are joyfully getting tools, toys and opportunities for development into little hands all over Australia. combined with my years of teaching and head of school experience, to the selection of books, items and objects we stock. I do my best to infuse into the choices I make, the careful consideration for the environment, the aesthetic importance, and the purposeful self-directed opportunity that embody Dr. Montessori's philosophy. I also feel that it is important to understand that I do not choose most of our items with the intent to replicate exactly your child's experiences at his/her Montessori School. (That is if he/she is lucky enough to attend a Montessori program in the day) Rather I try to choose things that are more specifically for the home and can enhance, mirror and enrich the things they are experiencing in their children's communities at school. While it is true that Montessori schools, by their intended design, are wonderfully magical places for your child to develop, you should NEVER UNDERESTIMATE the amazingly unique, exquisite and truly life shaping experiences you can offer your child in the family-community environment of THE HOME. It is our hope that Montessori Child can be a reliable resource for parents attempting to create a consistency of approach for their children between school and home environments as well as for all of those giving their children as much Montessori-inspired empowerment as possible. These beautiful nesting boxes from Spiel and Holz in Germany come in a lovely, warm reds and oranges. Not an exact replica of a material that is used in the classroom, but a wonderful example of an open-ended activity. That is to say that this activity leaves the child to arrange and experience their own discoveries of possibilities for this set of boxes. For the young child, they are conducive to stacking and sorting exploration of the relations in geometry, size and gradation of color. Once stacking & sorting no longer appeal to the child, or when this activity is simply out of rotation on the self, these quality boxes can be used for storage or presentation of small objects. 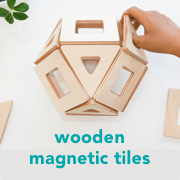 Items like these, that can be used a variety of ways, encourage not only inquisitiveness and self-exploration but also assist in the development of the human beings most precious asset: the imagination. Wow. Who knew a set of wooden boxes could do all of that? What a wonderful family! I might ask Amy back another day as her passion and enthusiasm is contagious and I would love to hear more. Thank you Amy and Steve for this giveaway. The giveaway is for one set of the warm reds and oranges nesting boxes. To enter simply leave a comment below. I will draw the giveaway using random number generator and will contact the recipient shortly after by email. Comments close Thursday 24th November at 9pm AEDT. The giveaway is open internationally but please only one entry per family. Edited 24 November. Comments have now closed. The recipient of the nesting boxes is Ashley!! Thank you to everyone who entered. There will be another Christmas 2011 giveaway soon, stay tuned.